Does facing the day sometimes make you feel like you need the powers of a superhero? I do! It’s my little secret, but I get my energy from the super delicious Instant Herbal Beverage Peach flavoured tea. After sipping on my tea I feel energised and my concentration levels up! 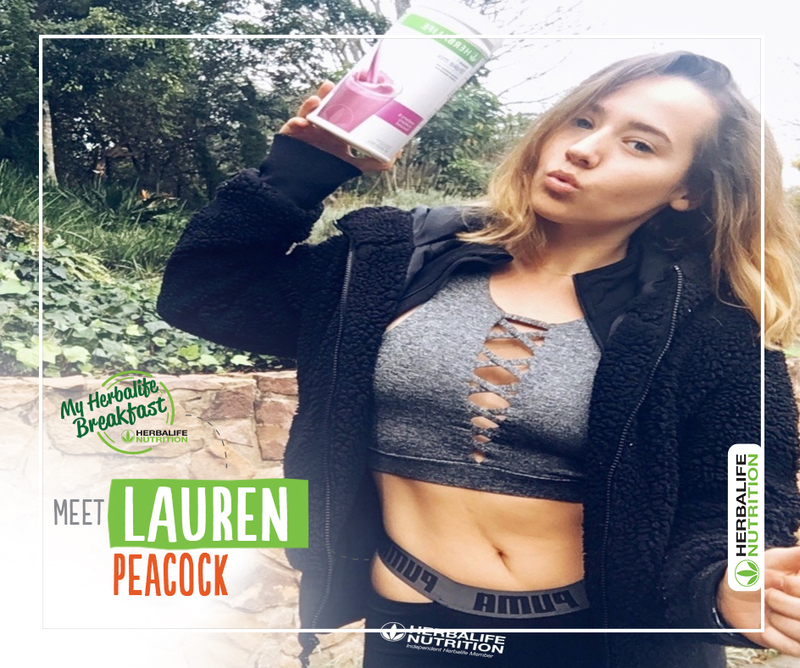 Superheroes can’t save the world without breakfast, so I whip together my amazing Herbalife Breakfast using 2 schoops of Formula 1 Shake Vanilla Flavour, 1 scoop of Protein Drink Mix, blend in some berries and banana and boom – I’m ready for action. Water isn’t water without the Mango flavour Herbal Aloe Concentrate Drink, it helps keep me hydrated and tastes amazing. I just love My Herbalife Breakfast. It totally changed my life and I feel great. Thank you Herbalife for making me a superhero! I used to wake up feeling tired every day with no zest for life. That has all changed completely thanks to my healthy active lifestyle, which includes My Herbalife Breakfast. Now I have energy to face whatever my day throws at me! I Start my with my favourite Formula 1 Shake – Raspberry & Blueberry flavour, with a scoop of Personalised Protein Powder added. Then there’s my Instant Herbal Beverage tea… it’s a must for every day of my week and is so delicious! 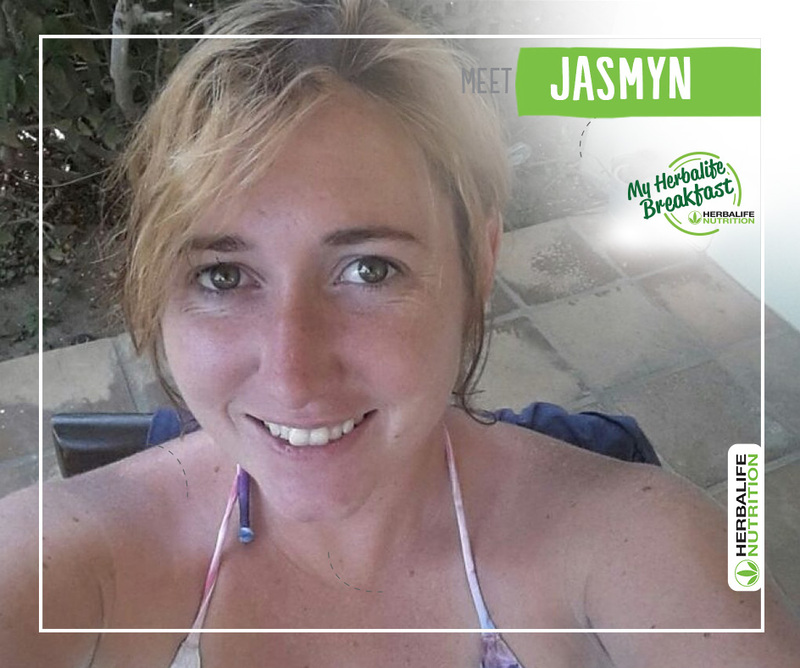 With Herbalife Nutrition, I have completely changed the way I live my life. 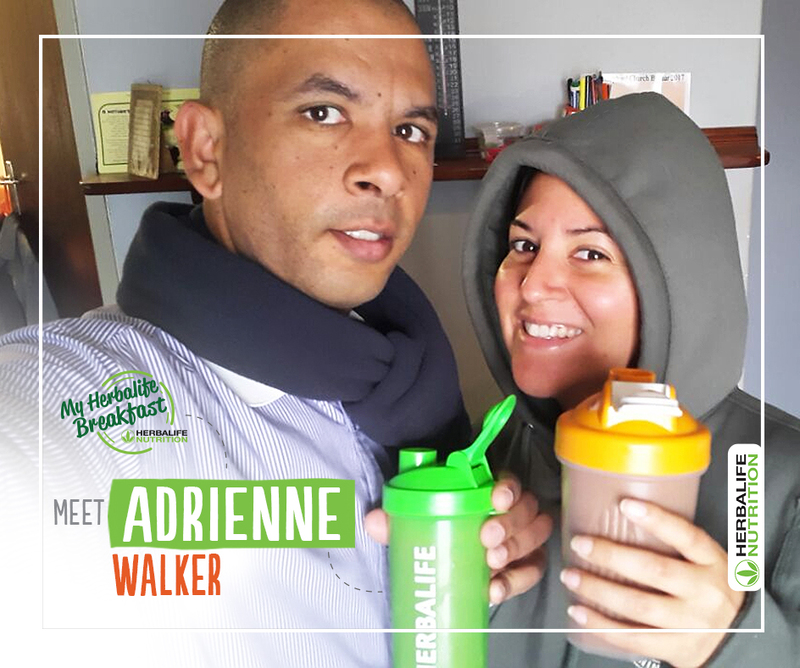 For the past 22 years I have been fuelling my body with the most delicious breakfast from Herbalife. 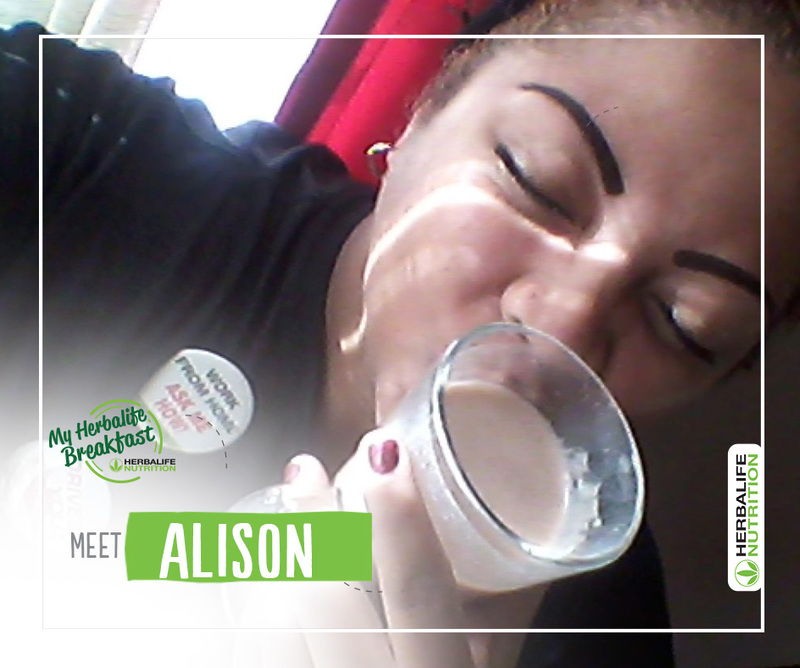 I Start my day without exeption with my refreshing Herbal Aloe Concentrate Drink in warm water. Then onto my hot ‘rev-me-up’ Instant Herbal Beverage, and I’m ready for Gym. After gym I am spoilt for choice with all the amazing Formula 1 Shake flavours. I absolutely love to make my quick and easy shake and it’s the only way I will start my day! I start my day the Herbalife way. I used to skip breakfast as it was just too much effort. My Herbalife Breakfast has changed that, and it couldn’t be easier! I Love my Formula 1 Shake (Chocolate, Vanilla and Strawberry are my favourites), to which I add a scoop of Personalised Protein Powder, a couple of blueberries and strawberries, ice blocks, a dash of raw honey and blitz all of that up. 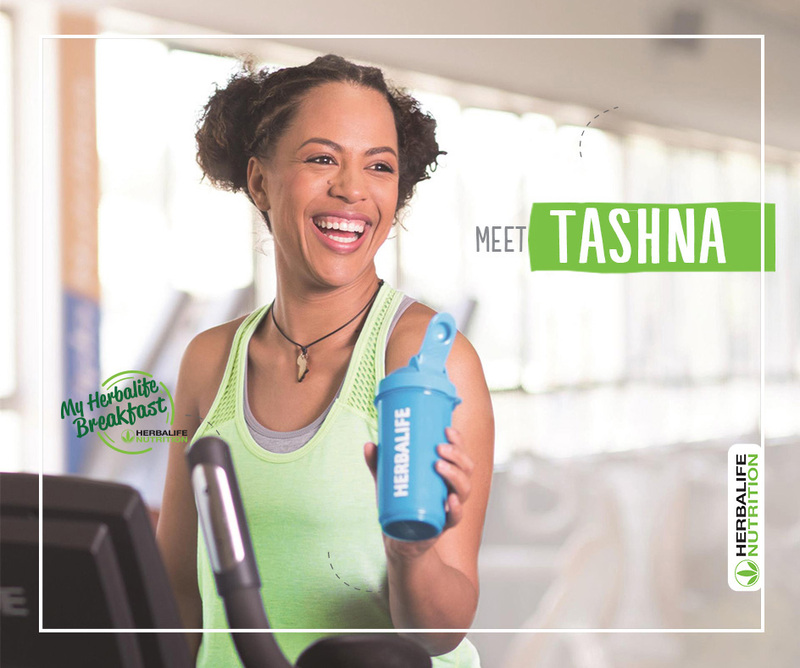 As a busy hairdresser and community volunteer, with little time between clients, my shakes make it easy to get the nutrition I need – on the go! Instant Herbal Beverage tea gives me energy for my morning boot camp classes and Herbal Aloe Concentrate Drink added to my water makes it easy and delicious for me to stay hydrated throughout the day. Herbalife has changed my life for the better; I’m now ready to help others achieve their goals no matter what they may be. Thank you Herbalife! I drive every morning to work in the traffic, but that doesn’t get me down OH NO! 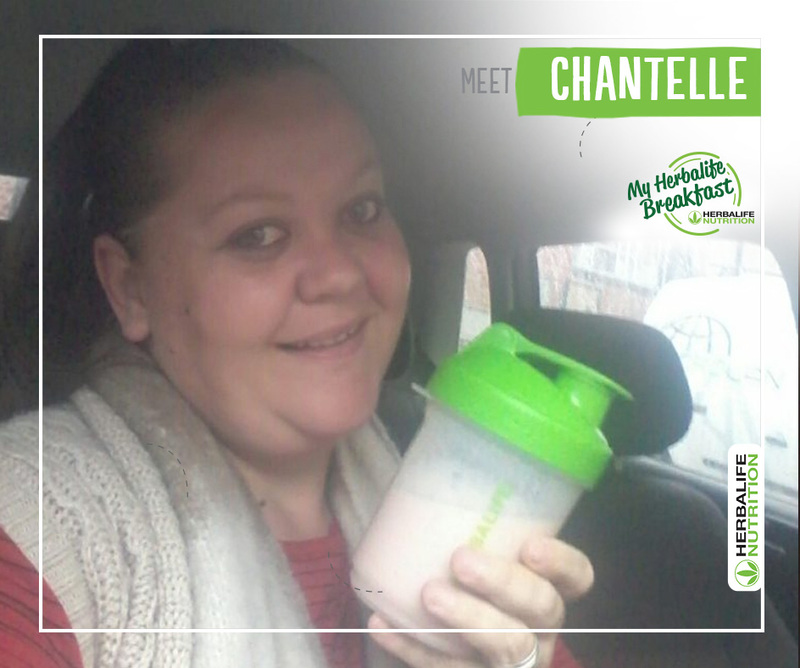 I love having My Herbalife Formula 1 Shake in the car – where the music is playing and the people are watching. I love that my shake is easy and convenient and I can have it anywhere, even in bumper to bumper traffic. I love how I get people to smile with my bright colour shaker and my “MOVES” to the radio music. Every morning is good with My Herbalife Breakfast. I love my Formula 1 Chocolate Shake Mix, and my Peach Instant Herbal Beverage (Tea) that puts the revs back in my energy levels. I LOVE MY HERBALIFE BREAKFAST! Regards your Friendly traffic Jammer! I get excited to wake up each day. Deciding on a new recipe is a game I like to play. My favourite flavour Formula 1 Shake has got to be the Raspberry and Blueberry, it’s so perfectly me. I feel fuelled and ready Hip-Hip-Hooray!! I think everyone should start their day with one! I love the convenience of the Herbalife Breakfast as I can make it the night before. I also love the fact that you can have it as is or make smoothies by adding various fruits, seeds and plain yoghurt to it. I’m a runner and most races are early morning especially during the summer. Trying to eat very early in the morning is quite a challenge however not so with the Herbalife Formula 1 Shakes. I can consume it in the car on the way to the starting line and I’ll be fuelling my body for my run! Post my run the Protein Bars and Formula 1 Express Bars are the perfect snack to keep hunger pangs at bay and I cannot forget Rebuild Strength! The yummy chocolate goodness in a Shake for replenishing all that was lost is definitely something I can’t live without! My Herbalife Breakfast is the best. The Formula 1 Shake Strawberry flavour is my favourite! It is so delicious, it is easy to make and therefore saves me time! I love my Instant Herbal Beverage tea especially in winter; I enjoy it hot because it keeps me warm. It pumps me up and gets me ready for the day. Finally, with the Herbal Aloe Concentrate Mango flavour water is not just water anymore. It is refreshing and helps me drink more water throughout the day. 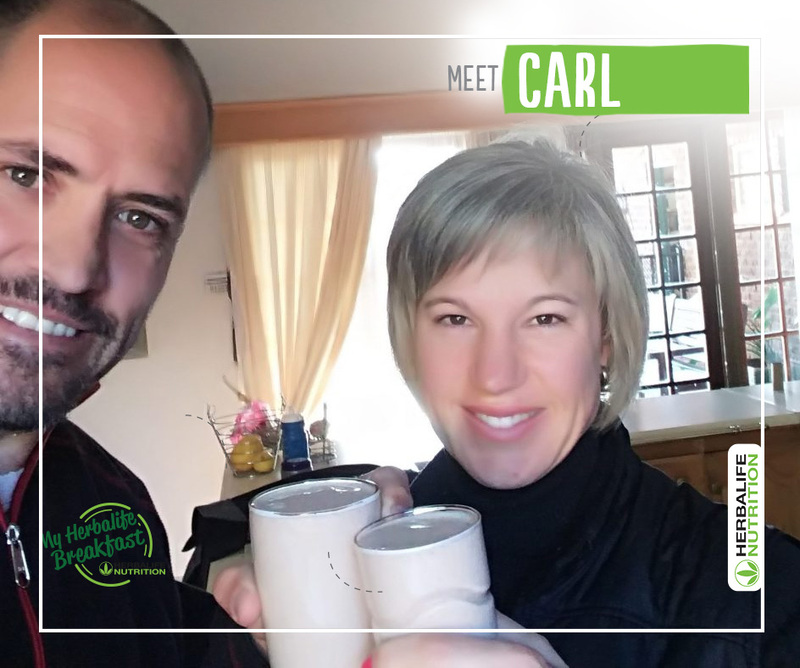 I start off with my Herbal Aloe Concentrate Drink and Instant Herbal Beverage tea to kick-start my day – my super boost drive. Then my favourite Formula 1 Shake Cookies & Cream flavour! I mix and match it with different fruits, Protein Drink Mix, Multifibre and to make it more interesting, cherries and ricotta. Summer time I love to use cucumber in my Formula 1 Shake and drink it on the go. Exactly 3 years ago, the word “breakfast” didn’t exist in my life. I was always too stressed and feeling ever so negative. 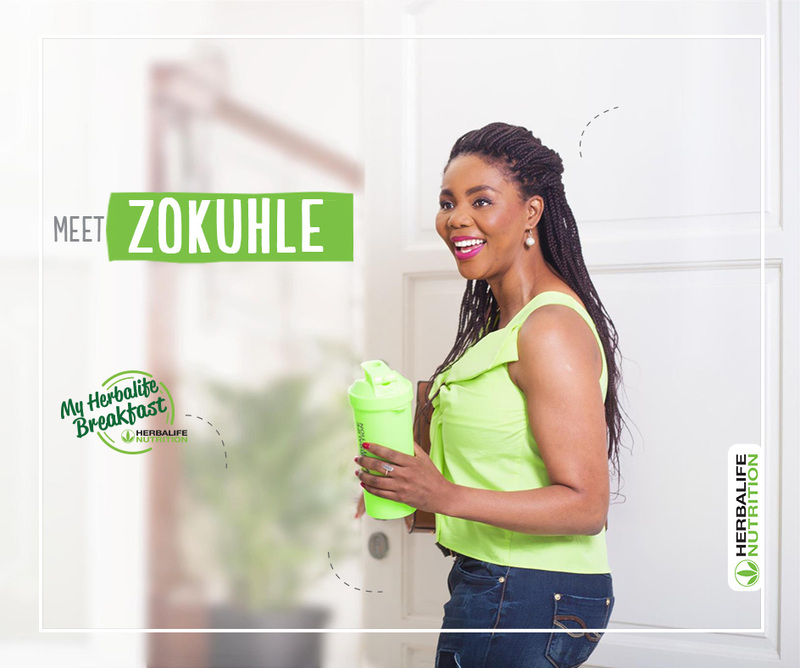 Since then, things have changed for the better… I do not miss a single breakfast even if I’m running extra late because my Herbalife Breakfast only take a few minutes to prepare. My energy levels have increased, I feel good and everyone notices my positive aura. I simply LOVE all my Herbalife Formula 1 Shake flavours because they are ALL my favourites. They are so easy and convenient to prepare, picking a favourite is quite a difficult task. My Formula 1 Shakes are always so exciting be it Vanilla, Strawberry, Chocolate, Tropical Fruit, Choc Mint, Cookies & Cream or Raspberry & Blueberry flavour. 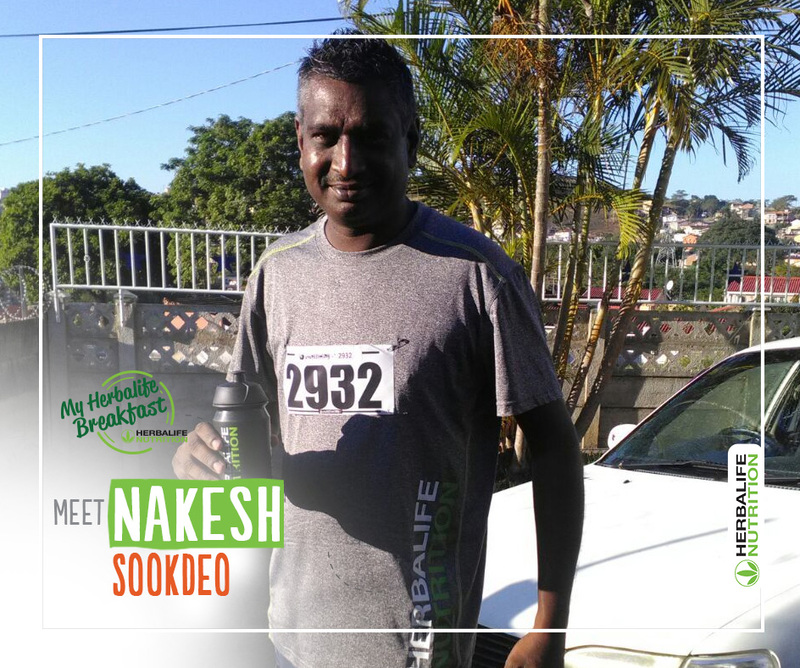 I enjoy experimenting with different fruits, nuts, yoghurt and muesli and sometimes I even add Protein Drink Mix to make it super special. Thereafter I look forward to a relaxing cup of hot Instant Herbal Beverage Raspberry flavoured tea and end my delicious Herbalife Breakfast with a refreshing glass of ice cold Herbal Aloe Concentrate Drink either Mango or Original flavour. Oh…Breakfast was just never this good before! I feel amazing from the moment I have my first glass of water with Herbal Aloe Concentrate Drink, followed by my Formula 1 Shake and Instant Herbal Beverage tea. The energy I get within a short time of waking up is incredible and I can’t wait for the taste of a yummy Formula 1 Shake. I decided to give my Herbalife coach a call and told her that I was finally ready. Before I started Herbalife, breakfast didn’t even exist in my life. I started off with the Formula 1 Cookies and Cream Shake. And can finally say that I absolutely love it. People cannot live without coffee; well I cannot live without my Herbalife. My grumpy and tired mornings have now turned into a fun and energy filled morning. I cannot start my day without my Formula 1 Shake, Instant Herbal Beverage Peach flavoured tea and some Herbal Aloe Concentrate Drink in my water for the day. I know with my Herbalife Breakfast, I can manage my weight. Thank you to my Herbalife coach and Herbalife, I am now eating healthier and on the right track. I LOVE LOVE LOVE my Herbalife Breakfast! It is my daily choice for the last 5 years. 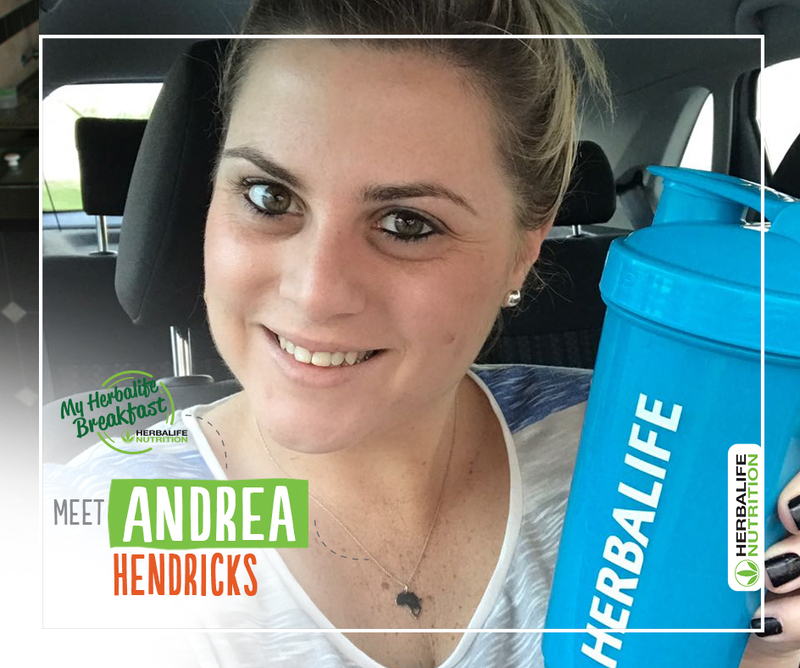 As a busy mom of 3 I have to take care of myself and have to be up hours before my family does, the benefits of my Herbalife Breakfast gives me energy and saves me time. 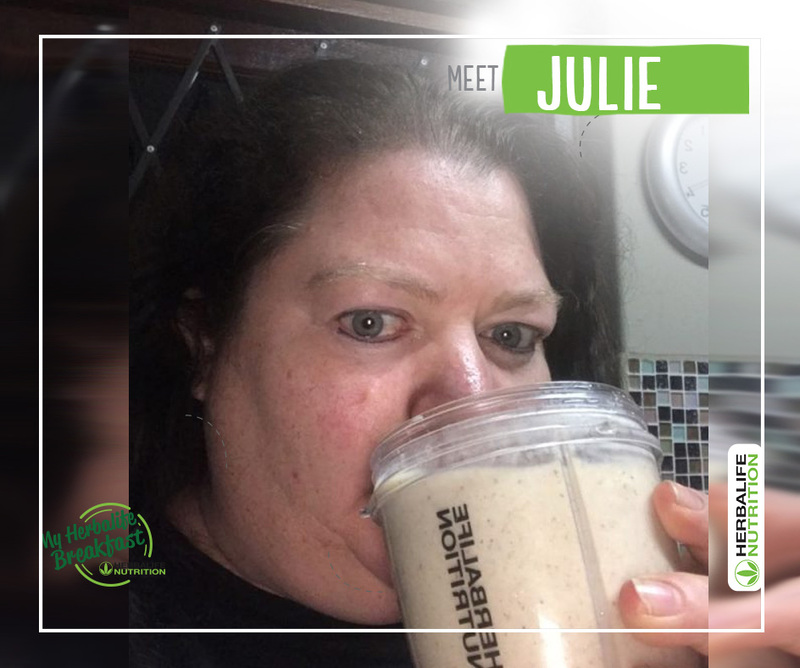 I love the convenience of the Formula 1 Shake, Aloe Concentrate Drink and Instant Herbal Beverage (tea) as well as the Protein bars which I include in my husband’s snack pack for work. Thank you Herbalife for paving the way for me. 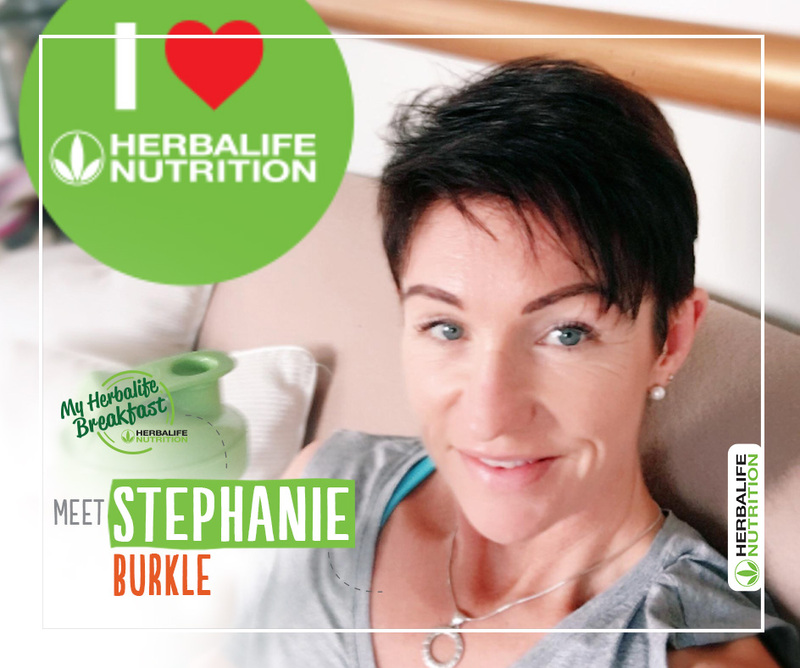 My favourite Herbalife Breakfast products are Formula 1 Shake, Protein Drink Mix and the Multifibre Drink. It is quick, easy and convenient. I add fruit, yogurts or peanut butter to My Herbalife Breakfast. 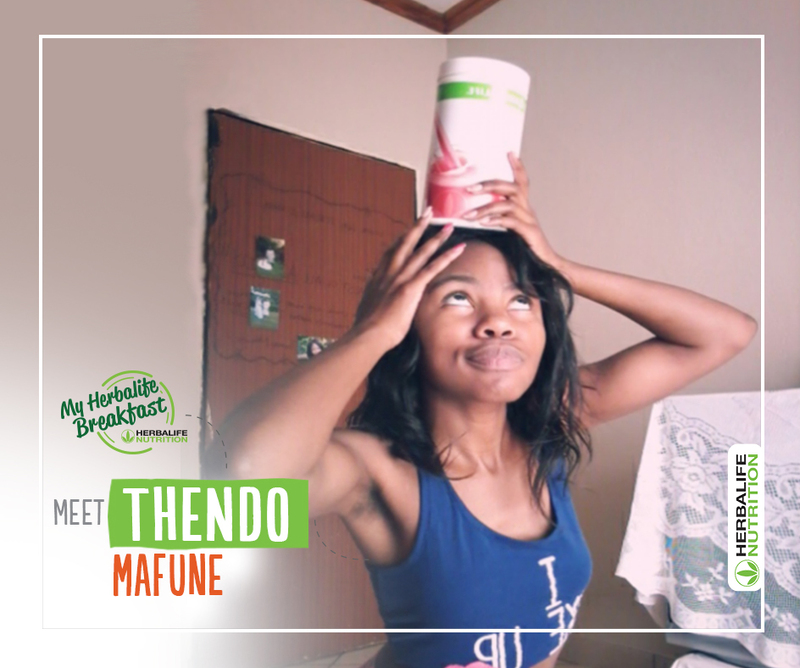 It gives me key nutrients I need every morning with moderate amounts of sugar, salt and fat. 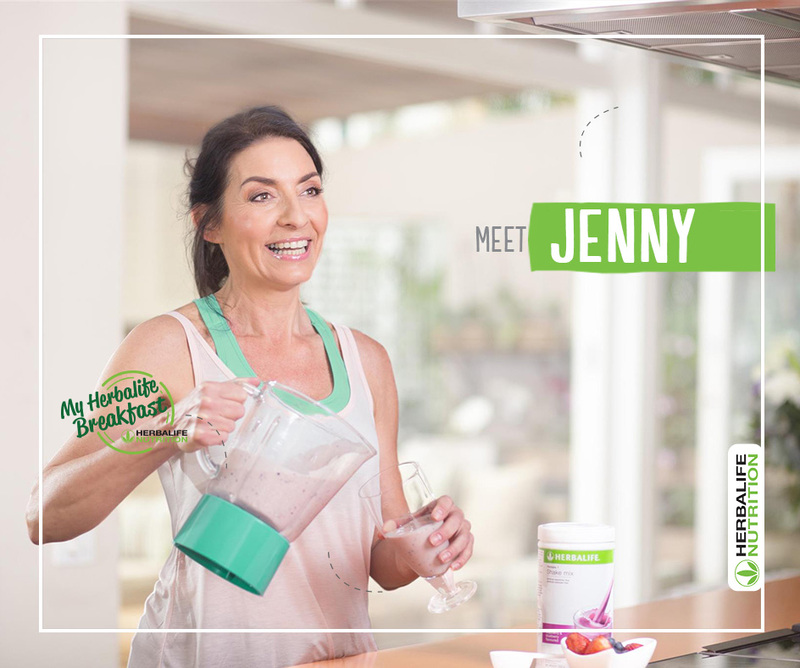 I just love the quick and easy convenience of our delicious Herbalife Breakfast. Starting my day with a healthy breakfast kick starts my day and gives me energy to face the day! I’ve moved from no breakfast to I must have My Herbalife Breakfast! I start my morning with a delicious Mango Aloe Concentrate Drink mixed with water to kick start my hydration, followed by a Lemon Instant Herbal Beverage (tea). I just love my new Banana Loaf Shake, made from 2 Scoops Formula 1 Cookies and Cream Shake Mix, 2 scoops of Protein Drink Mix, 300 ml water, 1/2 frozen Banana, 1/2 teaspoon cinnamon and 6 halves of pecan nuts (if you want it sweet, you can add 1/2 teaspoon honey). As a student I had such severe energy lows that I was failing my subjects. Despite eating a relatively healthy diet, I wasn’t getting the energy I needed to function. I also struggled for ages to manage my weight and I just felt heavy and bloated all the time. Enter Herbalife!!!! I started on the Formula 1 Shake and Instant Herbal Beverage (Tea) and wow did my days change! I had so much more energy and as a result, my academic performance has improved! On top of that I felt better IN ONLY ONE WEEK! 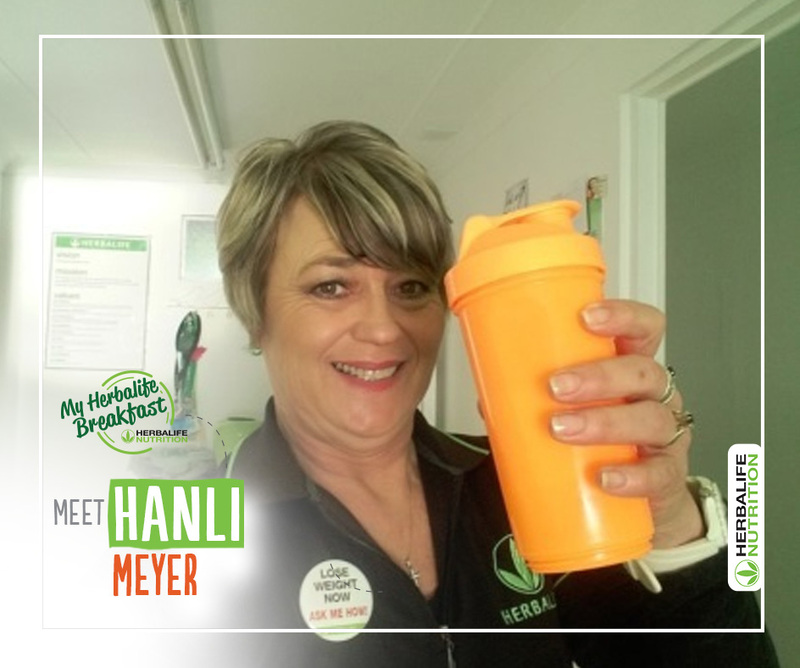 Now I simply can’t imagine my days without My Herbalife Breakfast. I absolutely love my new lifestyle! My favourite products are definitely the Formula 1 Shake, the Protein Drink Mix and the delicious citrus chocolate Protein bars.